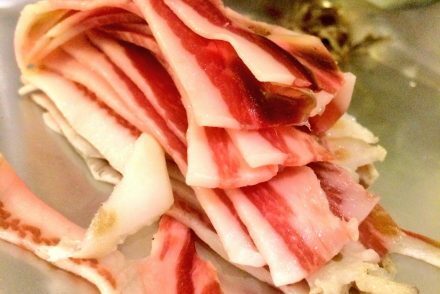 Trim the outside of the meat and remove any fat and sinews. Put the rosemary, bay leaves, cloves, peppercorns and orange peel in a spice grinder or in a pestle and mortar. Grind them up. Add to the salt and sugar and mix well. This is the cure mix. Sprinkle a layer of the cure mix in the base of the plastic box. Lay the meat on to the cure mix. Sprinkle more cure mix over the meat and rub in. Keep any left over cure mix. Put the lid on the box and put the box in the fridge. Leave for 24 hours. Remove the box from the fridge. Remove the meat. It should have started to darken and should be slightly firmer. Scrape the damp cure mix off the meat and discard. Scrape the used cure mix out of the box and, again, discard. Add fresh cure mix to the box. Add the meat but turning it over this time. Again, add more cure mix to the meat and rub in. Again, leave for 24 hours. 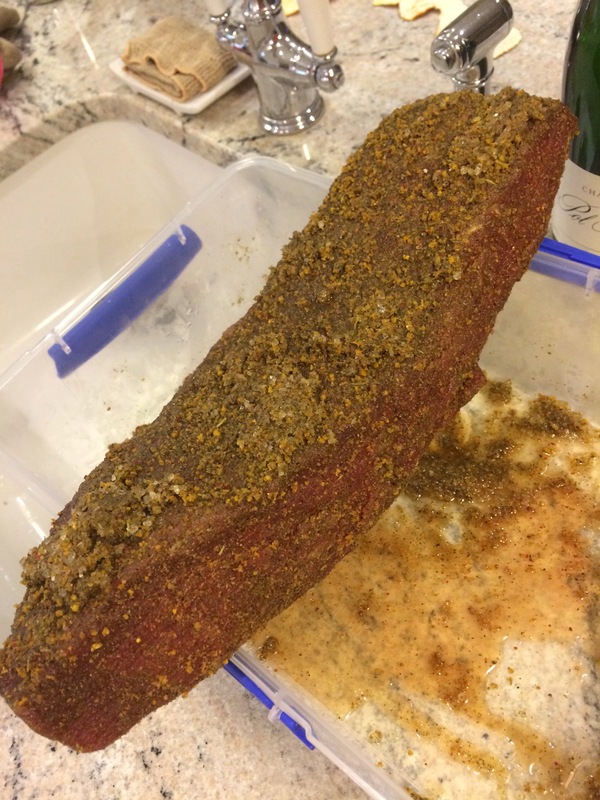 Repeat twice more, so that the beef will have cured for 4 days (around 96 hours). If there isn’t enough cure mix then make up some more. Scrape the cure off the meat and clean out the box. Put the meat back into the box and cover with red wine. Put the lid on. Leave it in the fridge for 5 days. 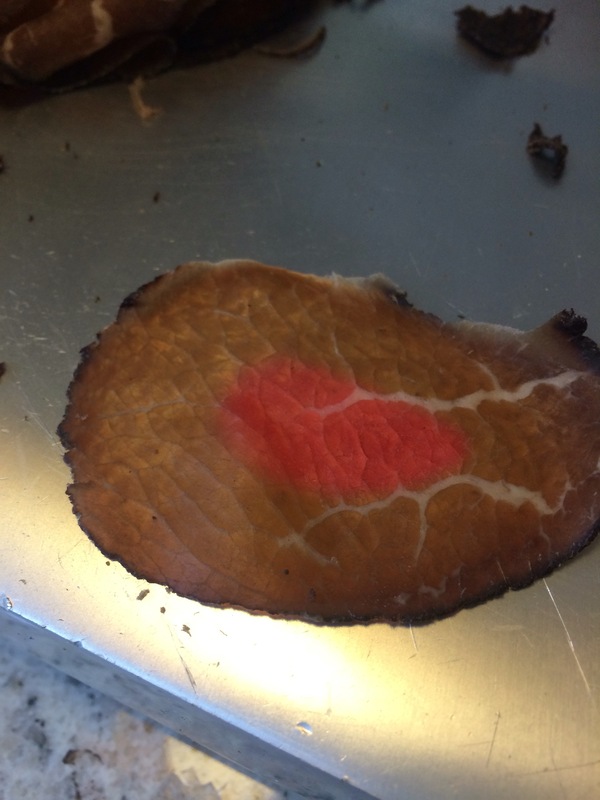 Once a day carefully take the meat out of the wine, turn it over and put it back in again. Then take the meat out of the wine and pat it dry. Use an old but clean towel for this. It will get very stained. Tie the meat with string so that it hangs vertically. Hang it somewhere draughty. I hang mine in the porch over the front door. 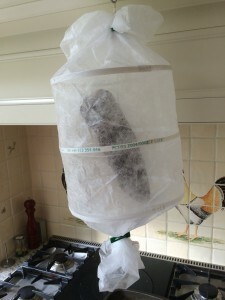 I have a net bag to keep the flies off the meat. 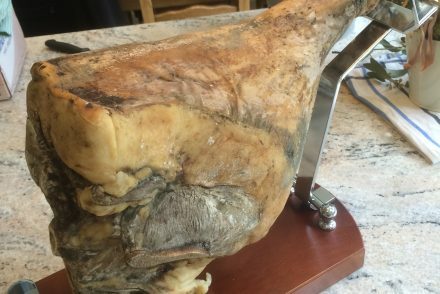 They are fairly difficult to find on the internet and so import big net bags with rings in from France – try googling “sac a jambon” or “sac a jambon mural”. I left my bresaola hanging for about a month or so and then sliced it as thinly as I could with a slicing machine that I bought from eBay. Ideally it should be paper thin and it should be possible to see the light through it. 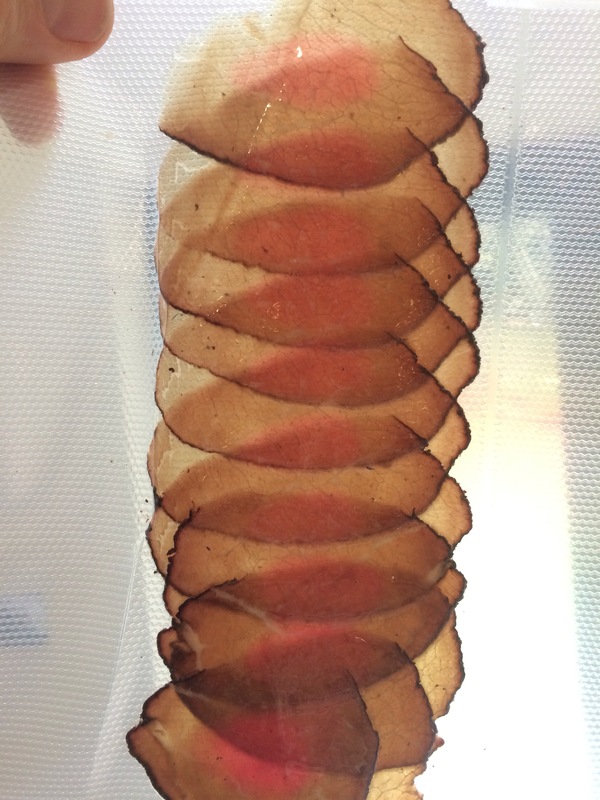 I then vacuum packed the bresaola. This recipe for making bresaola is adapted from the River Cottage guide to Curing and Smoking. If you approve of Amazon, here is the link. It’s an awesome book and explains concepts simply and clearly. 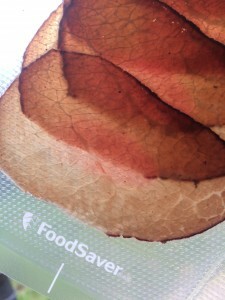 …Tasted a sample of Nico Wilsons Home made Bresaola today! The dedication & hard work which went into the product was clearly of a high standard.